• Two single bone open hand pockets. 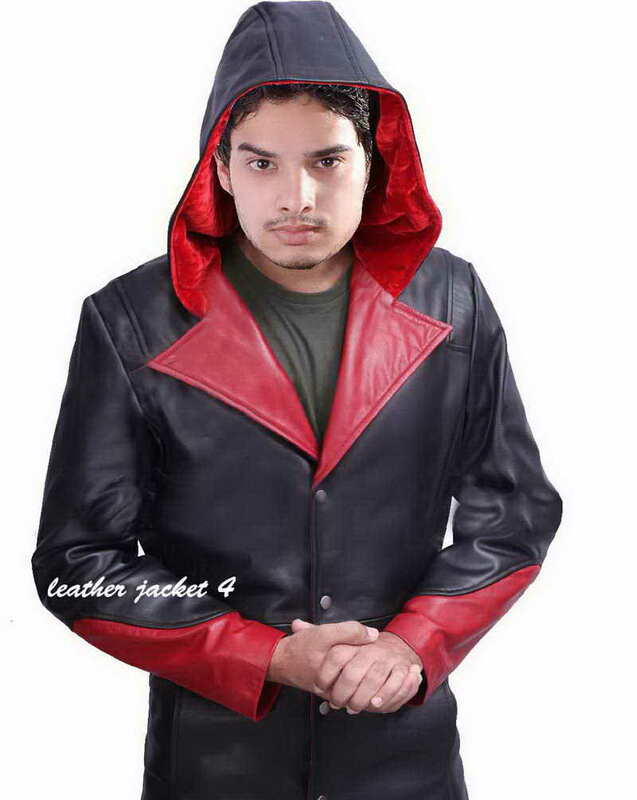 • Hi Quality Synthetic or Real Leather. • Regular open cuff with contrast design. • Fully lined and two inner pockets. 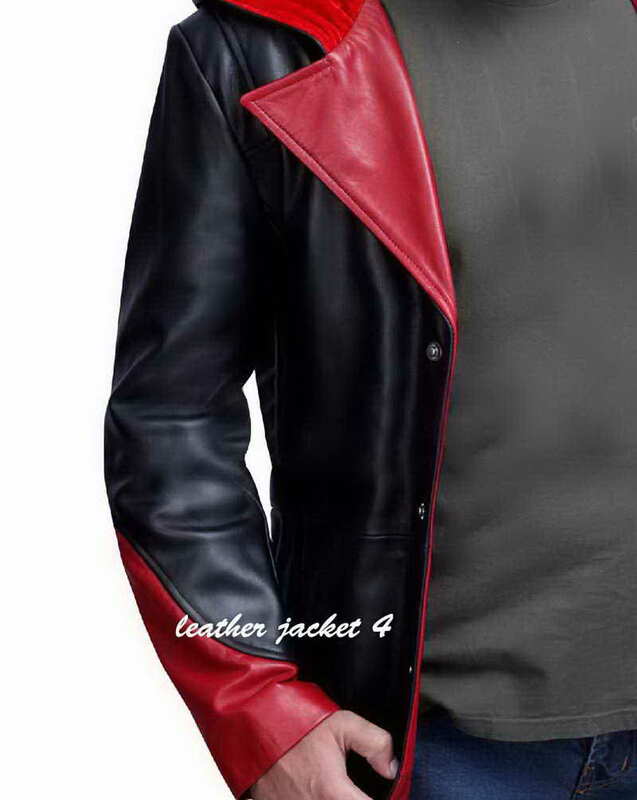 The star of capcom's Devil May Cry series Dante wear this daring leather jacket in popular game Devil May Cry 5. 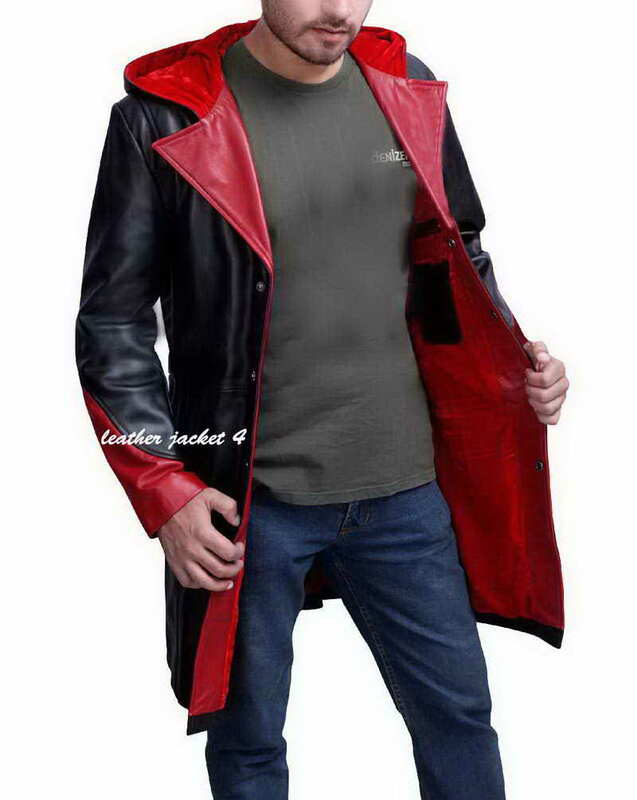 This Dante Coat turns your personality to dazzling, stylish and classy look. 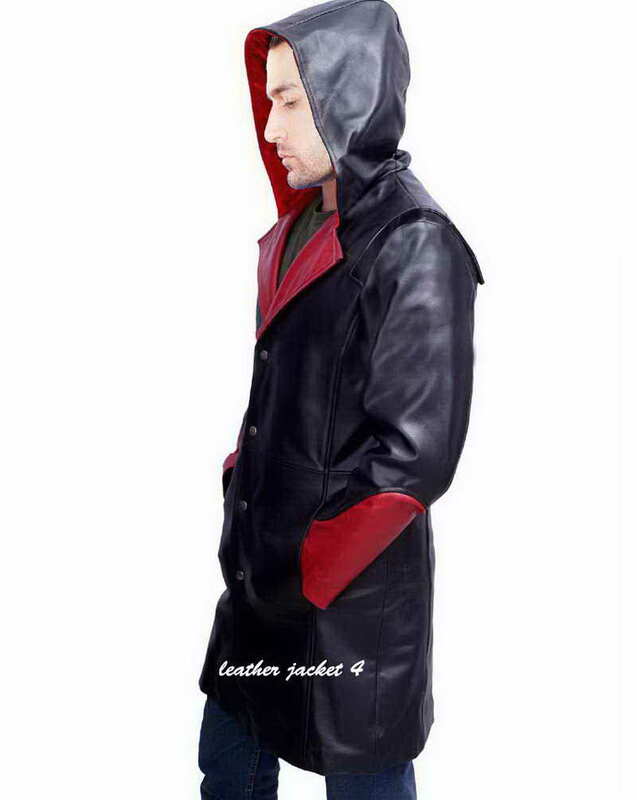 This can also be worn for casual wear as well. 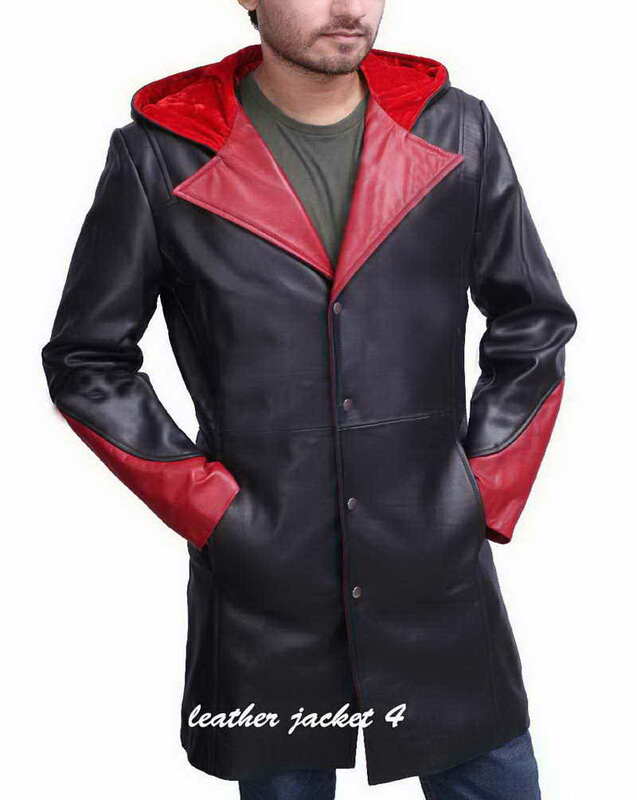 This Devil May Cry Coat is prepared from top quality synthetic/real leather and offered with inner viscose lining. 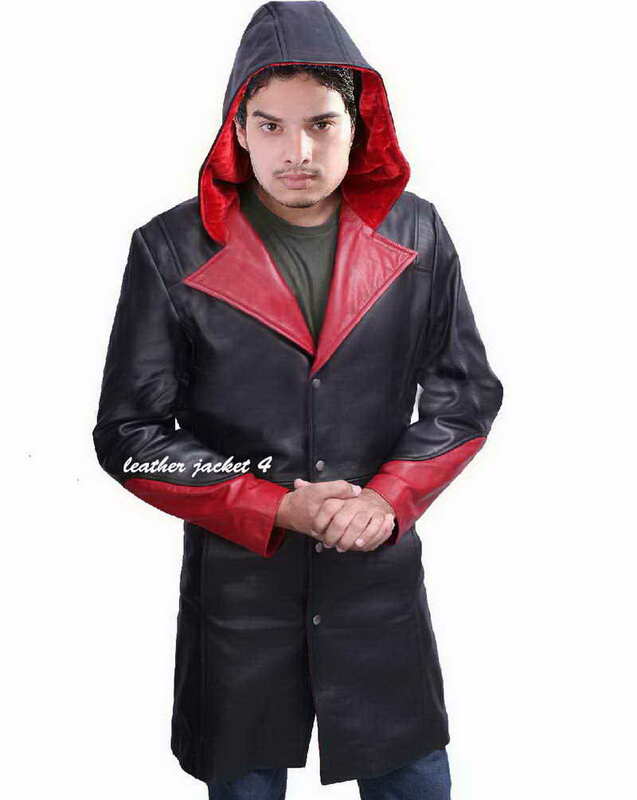 It consists of red open hem-cuffs and two inner pockets. 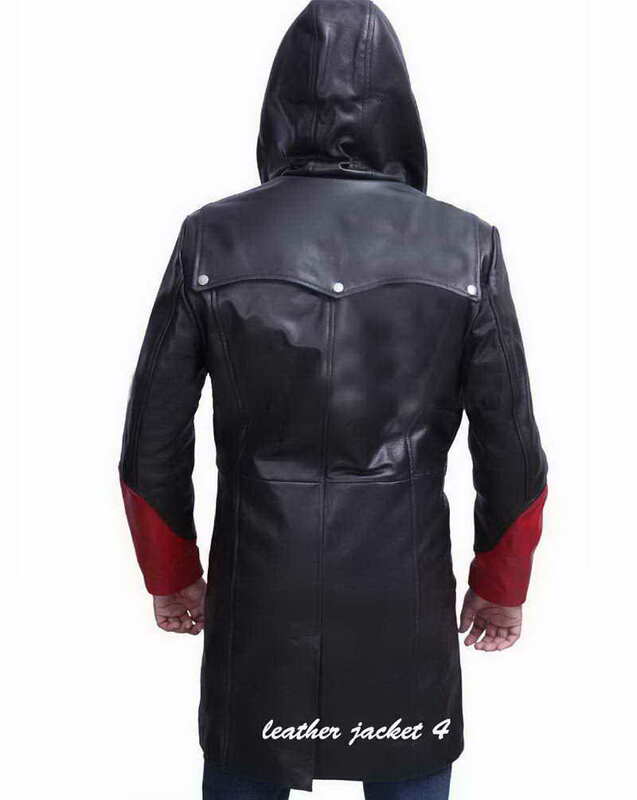 It is outfitted with a detachable hood and offered with a lapel-collar with front snap-tab closure which provides you a distinctive, edgy and forceful manifestation. Perfect detailing! A thumbs up for such a great work done by your team. This is my favorite jacket, I like strap embellishments and metal work. 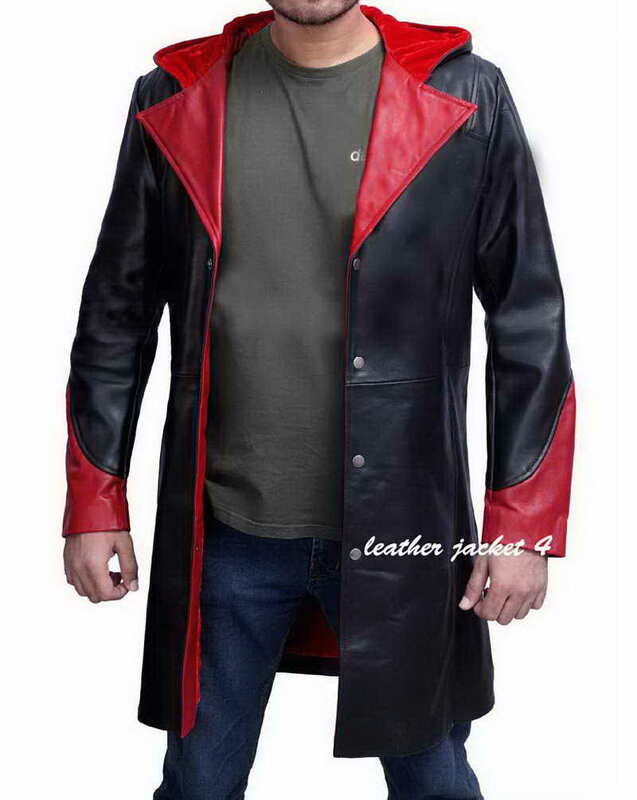 The leather is pretty flexible and I can surely expect it will last for years.